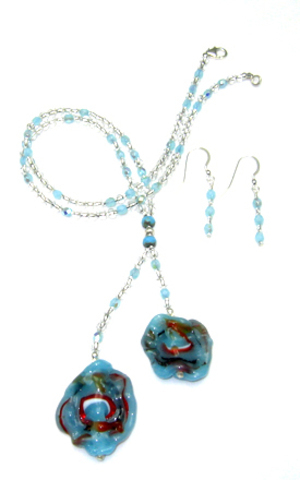 The two lampworked beads in this set are alabaster turquoise glass with bits of transparent orange, white, and black embedded. 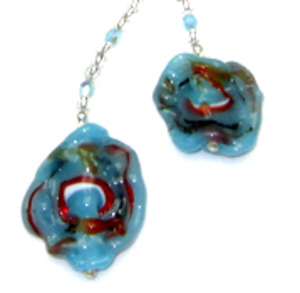 The beads are flat disks with floral-like ruffled edges. The handmade beads are complimented with other glass beads and silver lined clear seed beads.